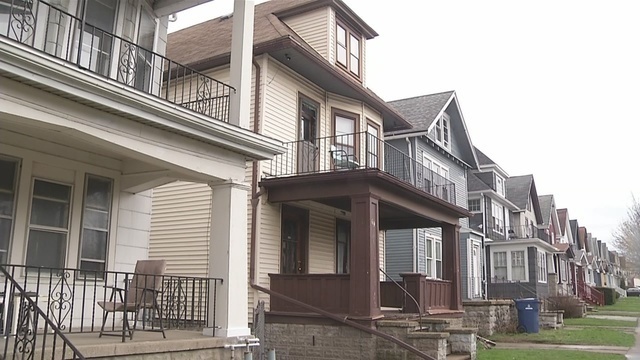 AMHERST, N.Y. (WIVB) - With a student in the hospital, the University at Buffalo is taking a look at the future of Greek life at the school. Freshman student Sebastian Serafin-Bazan, 18, was rushed to the hospital early Friday morning after what university officials called a "suspected hazing" incident. It occurred at the Sigma Pi house on Custer St.
A source said Serafin-Bazan was in the intensive care unit at Buffalo General Hospital Monday. Buffalo police, U.B. police, and the New York State Police are all investigating what happened. "The Buffalo Police Department's thoughts and prayers go out to the family of the young man who suffered an injury while participating in a fraternity event," said Buffalo police Captain Jeff Rinaldo. "The Buffalo Police Department is still investigating whether or not drugs and/or alcohol played a role in this incident." A source said witnesses told detectives Serafin-Bazan was exercising before he suffered the medical emergency. U.B. officials visited Serafin-Bazan's family in the hospital over the weekend. "Obviously they are devastated, as any parent and family member would be," said U.B Vice President of Student Life Scott Weber. "We are equally devastated." On Friday, U.B. President Satish Tripathi suspended all Greek activity at U.B. He directed Weber to form a committee to look into the university's fraternities and sororities. "It's the first time I think one of our recognized fraternal organizations has been potentially involved in such a situation," said Weber, who noted the university has a zero-tolerance policy on hazing. "I thought it was the right time to take a timeout. The president had made that decision." Weber said the committee, which will be chaired by Suzanne Rosenblith, the Dean of the Graduate School of Education, will be made up of 10-15 members. It will include students, faculty, and staff, and be asked to complete its report by the beginning of the Fall semester. Greek activity on campus will remain suspended until the report is submitted. "I recognize that this action could affect some organizations that have not engaged in this activity," Weber said. "But I would ask those people who are frustrated by that decision to stop and ask if Sebastian had been their brother, their son, their nephew, their friend, what would they have the university do?" Anyone with information that could help police is asked to call or text the confidential tip line at (716) 847-2255.